Copper Hills, Best of 2018 Golf Advisor, The Comeback Kid! Copper Hills has more than twenty write-ups in its existence, including cover photos on Golf Michigan, the Oxford phone book and a photo of #9 Hill featured in John Deere calendar for North America’s toughest “18” holes. But with the downturn in the economy in the mid 2000’s, owning a golf course was tough! The golf industry as a whole had been suffering. Especially in Michigan where the number of courses peaked in the early 2000’s with more than 970 public and private courses, according to past reports by the National Golf Foundation. With that being said, times were tough for Copper Hills and with the owner, Curtis Wright fighting his battle with cancer, the course lost some of its previous luster. Unfortunately, Curtis past away in late 2016. Copper Hills was his dream and passion. He never felt like going to work was a job. It was his home in his heart. Since 2017, Curtis’s wife (Donna) and daughter (Heidi, me), have been working hard to restore the course to its previous glory. We have struggled along the way with many things since Curtis was so hands-on in the operation of the course. We had a tough time finding the right management team to help us on our path. We struggled through many trials and errors, as women running a course without having a mechanical background. Curtis was the main “fixer” around the place. But as of today, it looks like we are on the right road! We have our new General Manager, Glenn Busam and Superintendent Chris Bertrand. Our new team has over 50 years of experience in the golf business. With their expertise and our combined vision, we think we have what it takes to make Curtis Wright’s vision come back into the light. We have many aspirations for the course and the facilities! So it is with great pride and honor that we have been given this accolade from you, our customers! 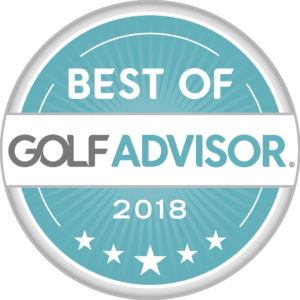 This year Copper Hills has been awarded as one of the Top Courses in the Country with a 3rd place finish in 2018 Best of “Most-Improved Golf Courses”. 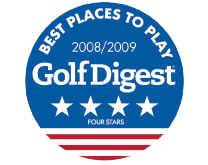 This award is really special to us because it is solely determined by you, the golfers writing up reviews of our course. Thank you for acknowledging all the hard work we have been doing. We appreciate your patronage and encouragement along the way, Thank you! Please click on the link below to see where Copper Hills GC has landed! Thank you again for helping us and please book your tee time to check out for yourself why Copper Hills is such a special place. Stay tuned next week to find out what our aspirations and plans are for our future!